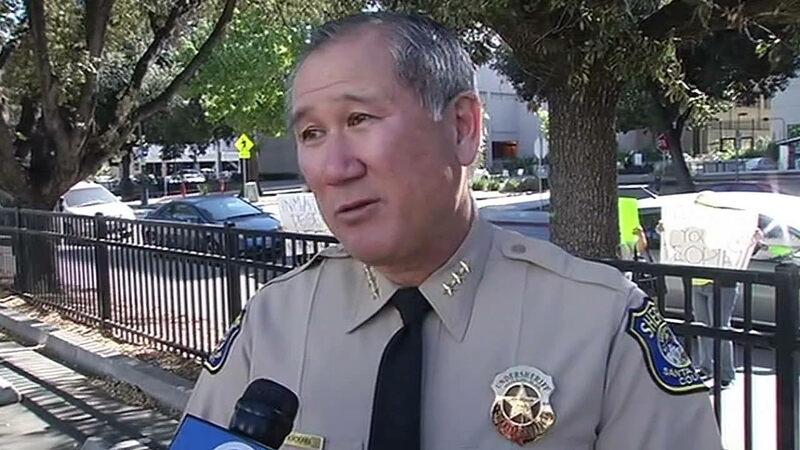 SANTA CLARA COUNTY, Calif. (KGO) -- An inmate inside the Santa Clara County main jail is speaking out about what he heard and saw the night a mentally ill inmate allegedly died at the hands of three Santa Clara County correctional deputies. He spoke exclusively to ABC7 News on Tuesday. 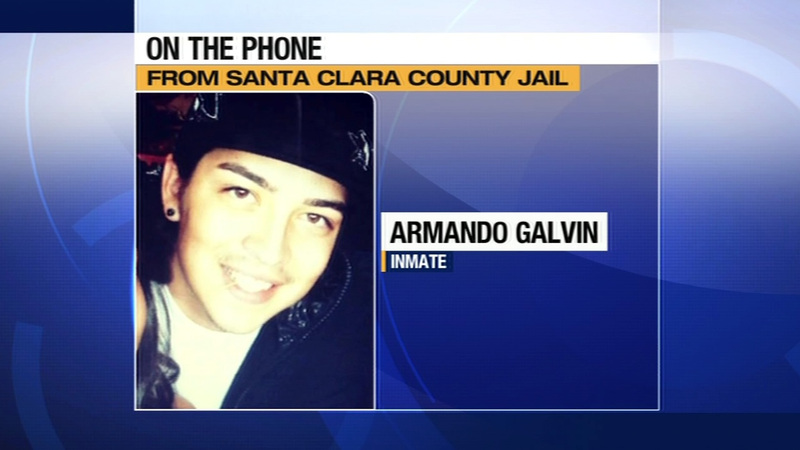 The inmate gave ABC7 News permission to use his name. Armando Galvin says everything he shared with us he also reported to the sheriff's office detectives who are investigating Michael Tyree's death. Inside the Santa Clara County Main Jail, Galvin says he heard screams coming from a nearby inmate's cell the night before Michael Tyree died. "I hear more screaming saying, 'I'm sorry, I'm sorry, please, please, I'm sorry,'" he said. Galvin says the screams and pleas were followed by silence. 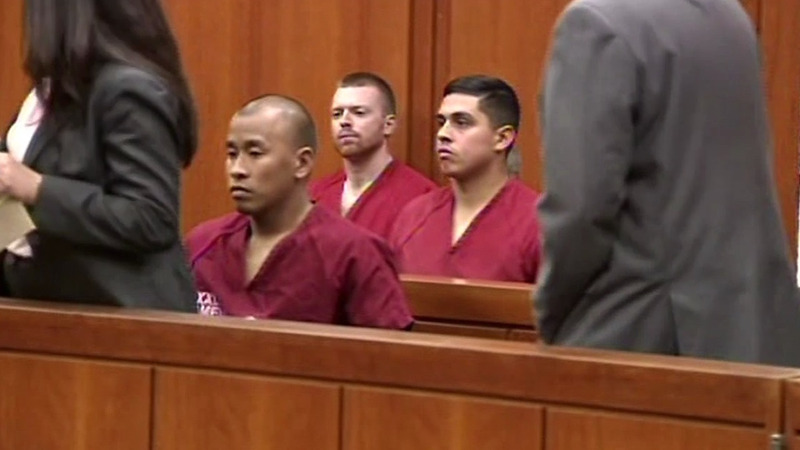 At the time, correctional deputies Matthew Farris, Jereh Lubrin, and Rafael Rodriguez were conducting a routine search of inmates according to the sheriff's office. Galvin says when the correctional deputies got to his cell, they were acting differently and hardly searched. According to the sheriff's office, about an hour later Lubrin returned; an account Galvin confirms. "Excuse my language but he said, 'Does he usually s*** himself?'" said Galvin. "He went back to Tyree's cell and was calling his name he didn't respond, went back to the phone on the desk called it in. Ralphael Rodriguez came in with the flashlight." Galvin says he could see Lubrin pull Tyree's body out of his cell. "He started trying to revive him by pumping his chest and when he was pumping his chest a bunch of body fluids was (sic) coming out of his mouth," he said. According to the coroner's report, Tyree died of multiple blunt force injuries and bled to death internally. "He's pretty much harmless, so I really don't know why they would go in there and do that to Tyree," Galvin said. While confusing, Galvin says he's seen and heard correctional deputies using excessive force before. "And no one ever said anything," he said. That is, until now. Galvin says the other correctional deputies are trying to stay under the radar. "It kind of feels like they're trying to keep us happy right now," he said. ABC7 News reached out to the sheriff's office to see what if any response they had to our interview with this inmate. A spokesperson said detectives spoke with all possible witnesses inside the jail. On Tuesday, the district attorney's office revealed that the three deputies have been tied to the beating of another inmate the same day they're charged with killing Tyree. And the attorney for one deputy told ABC7 News he's trying to get his client released on bail. Click here for the full story.